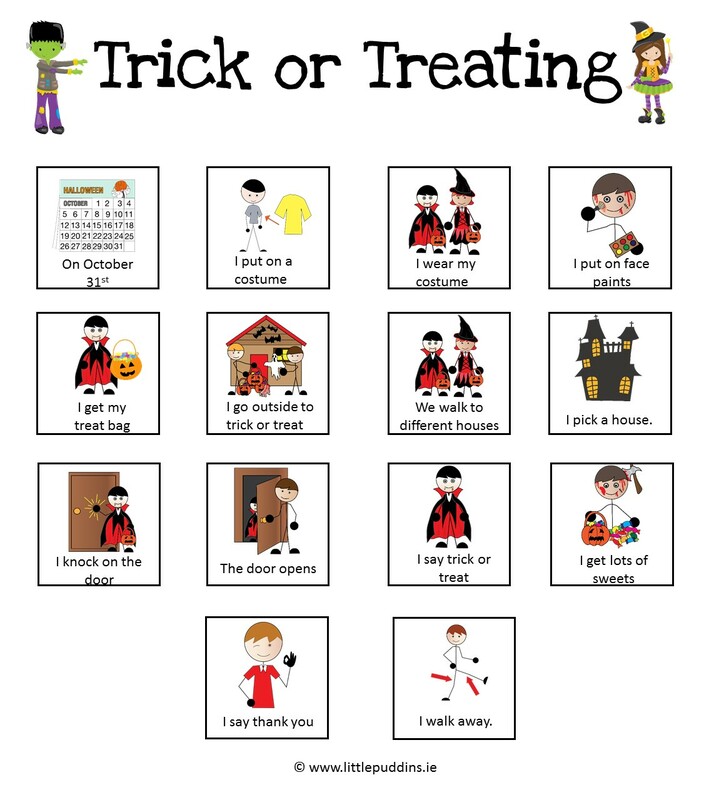 Help your child to be Halloween Ready by using a Halloween Social Story. Halloween can be the most exciting. 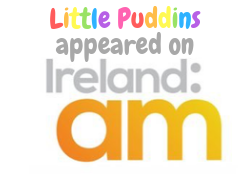 spooky, fun, adventurous time of the year for children. They will dress up, play party games, go trick or treating, eat heaps of delicious sweets, go to Halloween parties and have heaps of fun. Children of all abilities want to have fun and be able to experience the same playful milestones we have all experienced growing up. For some children with additional needs it can be an overwhelming time, sensory overload and meltdowns go hand in hand during this time, that is why a Halloween Social Story is an excellent tool to have prepared in advance. Many children with Special Needs feel very anxious, upset and frightened at Halloween. They may not fully understand what Halloween is all about and the unpredictable nature of Halloween with all the spooky costumes, all the painted faces, noises, lights, carved pumpkins, it can be very frightening for them. 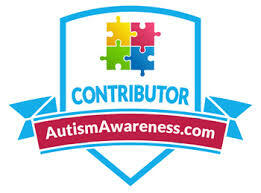 They may feel increasingly anxious as the 31st of October draws near, many with Sensory Processing Disorder can feel totally over whelmed with it all and a great many more physically cannot partake in many of the feature activities one associates with Halloween in particular wearing a costume can be difficult for many. Conor is no different, he physically cannot wear the majority of Halloween costumes as they seem to really irritate his skin due to his SPD. When I look for costumes for Conor and Jack I always look for ones they can wear over their clothes so they can still have fun wearing a costume if they want to. 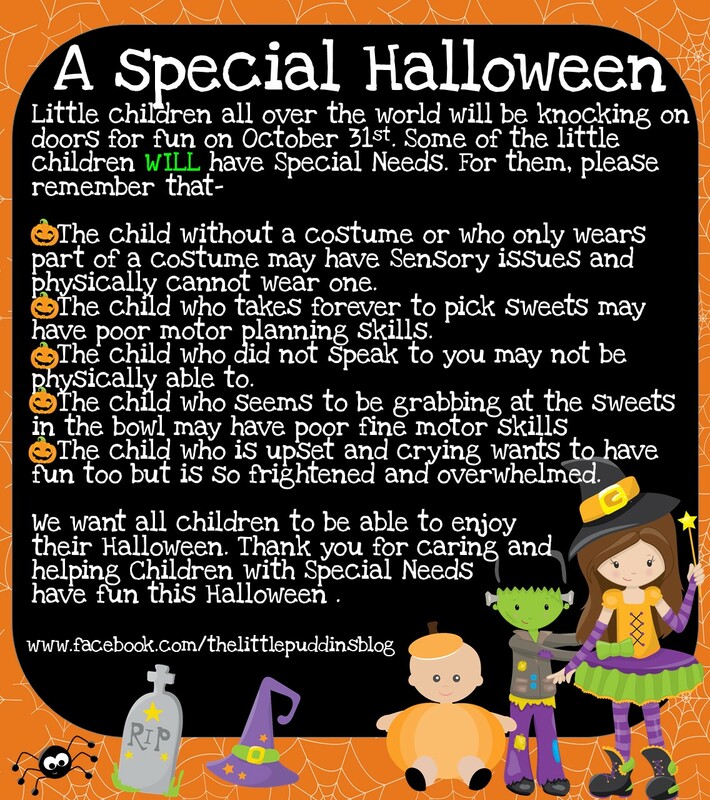 The best advice I can give to any parent of a child with Special Needs in the run up to Halloween is to plan and prepare for Halloween, discuss regularly with your child what Halloween is about, what may happen – Trick or Treating, Costumes, Parties but most importantly use a Halloween Social Story. Many children with Special Needs understand more easily when Visuals and/or Social Stories are used. Social Stories are created to help children understand/learn about any number of topics by explaining about the topic using actual visuals that would be pertinent to that particular topic. 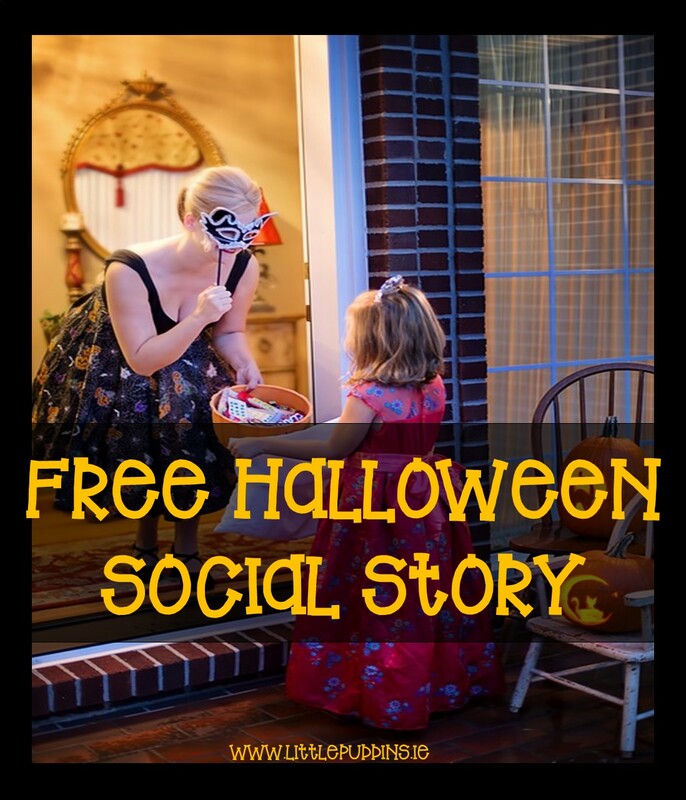 With children just like Conor in mind I have created two Halloween Social Stories for you to download for free. 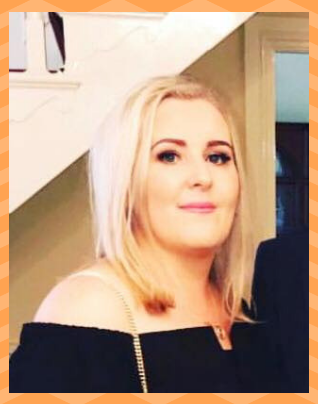 I had created a Social Story about Trick or Treating for children with Special Needs and was later asked by a fellow Special Needs Mammy could I make one also about Halloween Parties for her little one so they could better understand what may happen at a Halloween Party they are soon to attend. So of course I made a Halloween Party Social Story as it will help her little one but also a great many more. There are many ways to write a Social Story, you could have a large picture on each page and a typed sentence underneath explaining what is happening. As the Social Stories I am creating are for many children I cannot be sure what each child will be doing on Halloween so I have created them with versatility in mind. The Social Stories I have created can be used just by printing them off and laminating them. 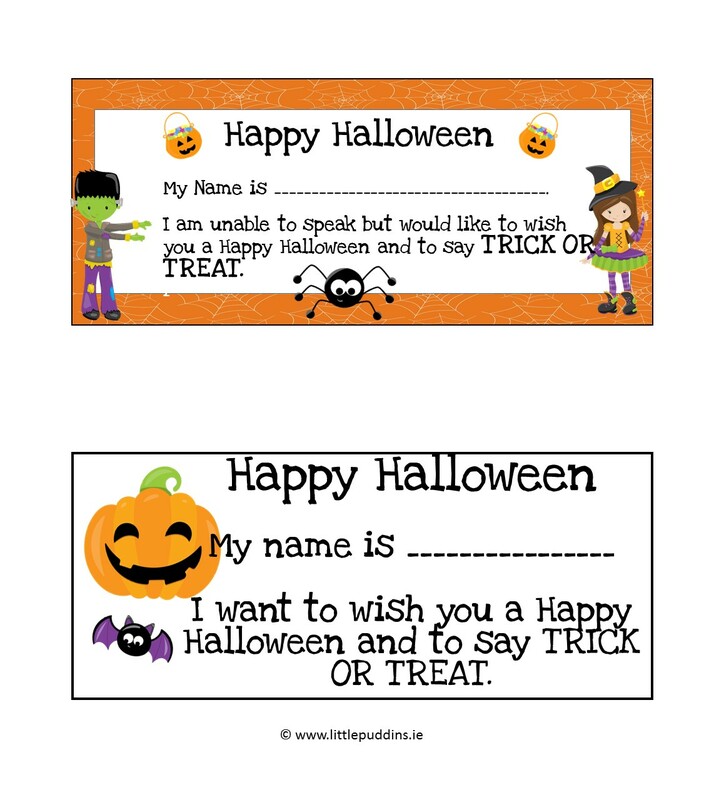 You could also print them off thereafter cut out the “visual squares” that apply to your child, laminate them individually and use them in a Visual Schedule of your own. 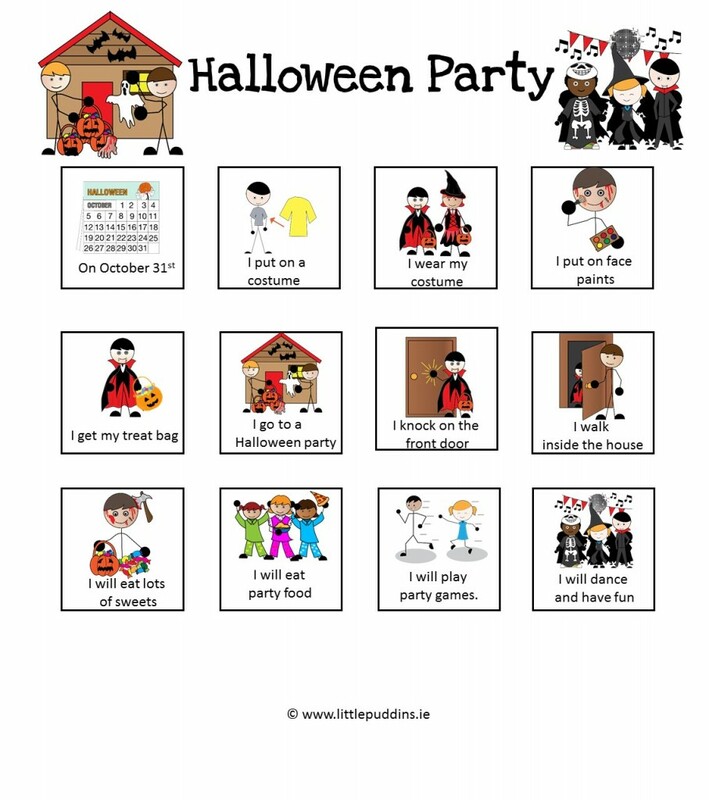 With your child you can read through the Halloween Social Story so that they will have a better understanding of what may happen on the night. The Visuals are clear and not over crowded with text so that your child will be able to follow what may happen with ease. Personally I buy costumes that Conor and Jack can wear over their own clothes so that they feel comfortable but also can wear a costume just like all their friends and family. Just because Conor and Jack are not able to speak it doesn’t mean they do not understand so I always tell them what is happening and I show Conor in particular Social Stories to explain. By following his Halloween Social Story he will be able to understand why he is wearing his costume and because he is wearing it over his clothes he will still feel comfortable. If your child would like to wear a costume on it’s own my advice would be to encourage them to “practice” wearing their costume many times before Halloween night therefore they will be physically desensitized to the materials used in the Costume by the time of Halloween. Another alternative is to encourage them to only wear the part that they feel comfortable wearing. Whenever we go anywhere all together (not often lol!) I usually discuss with Hailey and Conor what will happen while we are there. I also discuss with them if for example Conor gets overwhelmed; what we will do. I always want Hailey to be able to enjoy herself and I don’t want her to feel like she is always losing out so we make a plan before hand and if Conor has had enough of what ever we are doing I ensure Hailey can (if she wants to) stay on for a little while with her dad or myself and one of us will take Conor off to chill out. 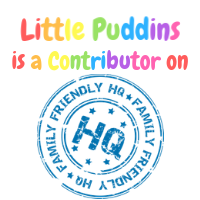 It is always good to have a plan in place if things go awry or when your little person needs to chill out for a while if they are getting overwhelmed. 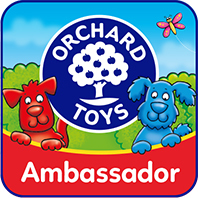 You could take them off for a walk, give them their chewy etc , do whatever is best for your child in your own situation. As always I have included this in my Download for you. 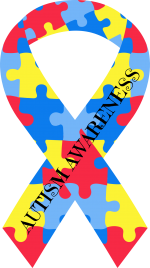 I have also created a Visual for you to share on all Social Media Platforms to help raise awareness for all children with Special Needs this Halloween. I would be so thankful if you would share this on Facebook, Twitter, Instagram and so to help raise awareness so all children can have a very happy Halloween.